Is Turkey Preparing to Betray NATO? Very serious events are occurring which indicate that Turkey may be preparing to leave/betray NATO. It is not impossible the severity of Turkey’s recent actions may even require NATO to expel Turkey from the alliance at some point. I’ll save the worst news for the latter portion of this post. First some background information on recent developments. During the war on ISIS, Turkey was often seen as a secret backer of ISIS. One news media story I watched showed Turkey was leaving its border unattended so foreign fighters could easily join ISIS. Turkey also acted as the middle-man for the oil shipments of ISIS which were funding ISIS’s war against Iraq, Syria, the Kurds, Yazidis, Christians and other Mideast factions. 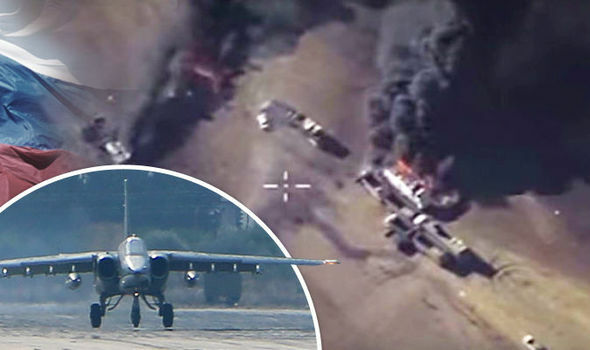 These ISIS oil shipment through Turkey’s territory started to end when Russia began bombing the ISIS oil tankers as they were heading for Turkey (first link and second link). It is no secret that Turkish President Erdogan has been moving Turkey steadily toward becoming an Islamist autocracy with himself as absolute ruler. There was an abortive “coup” against him last year, but the coup effort was so half-hearted that one wonders if it was a “false flag” operation, actually orchestrated to give Erdogan the justification he needed to purge and jail political opponents (loyal to the secular Ataturk model) in all aspects of Turkish government and society. Tensions between Turkey and its NATO allies have been steadily rising on a number of issues. There are calls inside Turkey to shut down the large NATO air base at Incirlik, and, essentially, kick out the NATO forces. The third link describes some of the rising tensions between the USA and Turkey, and the fourth link reports that Germany is already pulling its forces out of Turkey. Tensions between Germany and Turkey have become especially strident. The fifth link reviews some of these tensions, including Turkey’s imprisonment of German nationals inside Turkey and Germany’s angry response. When you read the fifth link, you will see that Germany is strongly hinting to Turkey that its actions are threatening to move Turkey out of the Western alliance (meaning NATO). Germany has also issued travel warnings to its citizens about the dangers of traveling to Turkey (sixth link), a development which has caused Turkey to react angrily (seventh link). It gets worse…much worse. The eighth link reveals that Turkish official media have revealed to the world the locations of the USA’s “secret” military bases inside Northern Syria which are being used in the fight vs. ISIS. It also states that Turkey is removing the teaching of evolution from its textbooks (that’s OK with me), but it is also putting the teaching of “jihad” into its school textbooks (an ominous development). The ninth link and tenth link report that Turkey has been in very serious negotiations to buy Russia’s top-of-the-line S-400 air defense system. Indeed, Turkey reportedly wants to co-produce Russia’s air-defense system inside Turkey! Readers should all remind themselves that this Russian air defense system is not interoperable with NATO equipment and is specifically designed to be used to shoot down American and NATO warplanes and missiles. The obvious question is: Why would Turkey want an air-defense system that was built to shoot down American and NATO warplanes? The conclusion is obvious that Turkey is close to leaving NATO or close to being expelled for its “Benedict Arnold” behavior. Given that Turkey is now tilting strongly toward Russia in military matters, what has Turkey already shared with Russia about NATO’s secret IFF (Identification Friend or Foe) codes for American and NATO warplanes? These codes would be invaluable for improving the capabilities of all Russian air defense systems. Is Turkey, a NATO member, already sharing NATO’s most secret codes and war-plans with Russia? These questions need to be asked…and asked soon in NATO’s hierarchy. It seems apparent that NATO nations may need to change all their IFF codes, command and control frequencies, etc. and not share the new codes and frequencies with Turkey for obvious reasons. If Turkey leaves NATO and allies itself with Russia, NATO’s southeastern flank will be greatly weakened as Turkey controls the entrance to the Black Sea, where Russia bases its Black Sea fleet. If Turkey leaves NATO and even if it does not formally join Russia, it will be an informal ally of Russia if it obtains the S-400 air defense system because it will be interoperable only with Russia’s air defense systems. These actions would greatly increase the strategic importance of Greece in NATO’s war-thinking. The Greek islands extend all the way across the Aegean Sea right up to Turkey’s coast. If NATO cannot depend on Turkey, NATO will need to build anti-ship missile batteries on Greek Islands to control sea-access for Russian warships exiting the Black Sea. Indeed, if Turkey leaves NATO, NATO will need to beef up its military forces a great deal as Turkey has one of the the largest armies in NATO. Many consequences may result if Turkey leaves NATO and aligns itself with Russia. One consequence may be that a Turkish exit from NATO could induce the currently non-NATO nations of Finland, Sweden and Switzerland to join NATO out of a newly-increased need for common European defense. Sweden and Finland are already close to joining NATO as they have been in close consultation with NATO on military matters (eleventh link). If Turkey leaves NATO (or simply becomes untrustworthy under Erdogan), the USA and NATO would have every reason to support an independent Kurdish nation and build new NATO bases in Kurdish territory. The Kurds have been staunch allies of the anti-ISIS coalition and, as Sunnis, they would logically serve as a blocking force for the US- and Western-backed Sunni alliance against the forming of a land connection between the Russian-backed Shiite alliance led by Iran and Syria. A Turkish exit from NATO could have even wider ramifications. Turkey was a secular, Islamic nation when it was a trusted member of NATO. NATO could be looking about for another democratic Sunni Islamic nation to replace Turkey in NATO. Why not Egypt? It holds elections, it is internally tolerant as the Egyptian President has visited Coptic Christian church services, hosts the strategic Suez Canal and its President al-Sisi stopped Egypt from falling into the grip of the radical Islamic Brotherhood. Having Egypt in NATO would cause Egypt to be in a very key position: it would be the pivot point for anchoring the entire NATO alliance to Egypt’s traditional Sunni allies in the Mideast. The western democracy of Israel would be very comfortable in such an expanded alliance as well. NATO could even decide to invite the Ukraine into NATO membership if Russia continues to draw Turkey out of NATO. NATO and traditional Mideastern alliances are in a state of flux. A lot of unexpected dominoes could start tumbling or arranging themselves into new alignments. There is a biblical dimension to Turkey possibly leaving NATO. I’ve long seen Turkey as one of the principal nations of Edom in the modern world. Its former name, the Ottoman Empire, had consonants of TT-M-N, the same as in the name of Teman, one of the major divisions of the Edomites (Genesis 36:1, 15 and 24). Edom is another name for Esau (Genesis 36:1), who was the grandson of Abraham via Isaac. The Edomites had 12-15 major tribes (Genesis 36:10-30) just as the Israelites had 12-13 tribes descended from Jacob, whose name was changed to “Israel” (Genesis 35:9-11). The northern ten Israelite tribes went into exile principally into Asia when the ancient kingdom of Israel fell. They eventually formed their own empires, Parthia and Scythia, in Asia and southern Russia before these empires were overthrown and their many millions of exiles migrated into Europe as the Goths, Germans, Anglo-Saxons, Franks, Vandals, Jutes, etc. These migrating Israelite descendants eventually inundated the Roman Empire and formed the population bases for the modern European nations (which are mostly in NATO). Abraham also had a son named Ishmael, who had 12 major tribes which would eventually form a “nation” of their own (Genesis 17:20). These Ishmaelite tribes became the Sunni Arab nations of today. Are we beginning to see how world events are steadily pushing all the sons of Abraham (the “many nations” that God promised he would make of Abraham’s descendants–Genesis 17:5) into a common alliance? This is the western alliance that Ezekiel 38-39 reveal will be attacked by the Gog-Magog alliance led by Russia, China, the Shiite nations led by Iran and all their allies). The fact that “Edom” is not mentioned as an ally of the Gog-Magog alliance in Ezekiel 38:1-6 argues that Turkey will not be in the Gog-Magog alliance at the end of our age. However, that is the direction in which Erdogan is now headed. Under Erdogan, Turkey seems headed for becoming a vassal of Russia and, therefore, an ally of Iran. That last part seems unlikely as neither Erdogan or Turkey’s mullahs are likely to be willing to play a subordinate position to the other party. At the very least, NATO now has a huge problem, because Turkey is drawing closer to Russia and Turkey cannot now be trusted with secret NATO information. That alone will have major ramifications. The future will unfold as God wills it to unfold. Modern nations are acting out a script that was written for them over 2500 years ago when God gave the latter-day prophecy in Ezekiel 38-39 to the prophet Ezekiel. Modern national governments have all but abandoned God’s reality, but the fact that they are now aligning exactly as God prophesied they would in the latter days proves that (A) we are living in the latter days when these prophecies are to be fulfilled, and (B) that the Creator God who inspired the Bible is also in overall control of human events and destinies. For more in-depth information on the above topics, I suggest you read my articles: Are We Living in the Biblical Latter Days? and What Ezekiel 38-39 Reveal about a Future World War III.